guns, engines and electronics would not work. liberals would be in trouble. Do you remember the rocket that missed Mars because they forgot to change yards to meters? Wut? You're saying it wouldn't matter? If true, the description of reality would have to change. But it was a loose cable. Lefties already think reality is subjective. 2. guns, engines and electronics would not work. liberals would be in trouble. with his chalkboard is correct but supercomputers, satellites in space, lasers and GPS are all wrong? 9. Do you remember the rocket that missed Mars because they forgot to change yards to meters? People screw things up all the time. The best computer in the world still suffers from (garbage in, garbage out). 4. What if Einstein was wrong? 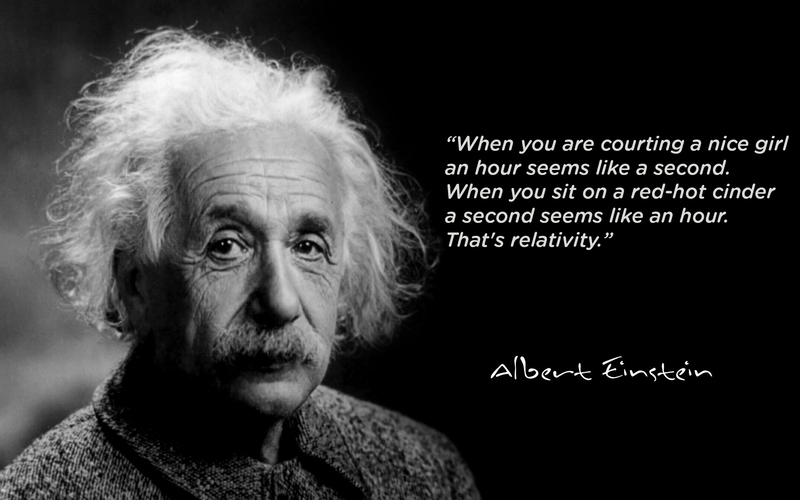 If Einstein was wrong then it has been of little consequence. A peanut butter jell sandwich still tastes like one. Einstein was wrong -- I posted so ten years ago on a now-defunct discussion board. Reaction was immediate: Who cares? I'm inclined to agree. However, if you agree, then your GPS very well might not work properly again. That's the problem. You've insulted the technology and the "gods" behind it. 6. Wut? You're saying it wouldn't matter? Anyway, I don't remember anything about this debate. Is Michio wrong? ... It is a strange multidimensional time-space warp we find ourselves in, you and I. We can each see the other person in the other dimension, but I can't reach you where you are, and you can't cross over here. Well, at least it's in color. 10. If true, the description of reality would have to change. But it was a loose cable. The OPERA team had timed neutrinos fired through Earth from the European particle physics laboratory, CERN, near Geneva, Switzerland, and found that they made the 730-kilometer trip to Gran Sasso 60 nanosecond faster than they would traveling at light speed. But in February, the OPERA team also discovered that a loose fiber optic cable had introduced a delay in their timing system that explained the effect. In any case, reality would not change. 11. Lefties already think reality is subjective. Men who " think " that they are women are automatically supposed to be recognized as women. It has to be. Ogg has to consider whether to go hunting or fishing today. What are the probabilities of success hunting? What kind of fish may Ogg catch? The consideration of future outcomes that haven't happened are fundamental to survival. Of course, when the imagined alternatives have zero probability of happening, then there is a problem. The problem is being made worse by modern media. There are entire movies of realistic looking happenings that are physically impossible. Unfortunately, politics is becoming a branch of the fantasy industry. Grumpy Pickle This message was self-deleted by its author.